Mixed reactions have started trailing the presidential result announced yesterday by the Independent National Electoral Commission, INEC. A United States of America based attorney, Mr. Stanley Ozuzu, opined that “something is patently wrong with Nigeria’s electoral process. “How can Nigeria religiously explain that we registered more than 70 million voters but less than 30 million people voted in the last election? This means that something is patently wrong with Nigeria’s electoral process”, Mr. Ozuzu said. While saying that there were glaring irregularities in many polling centres across the country, Ozuzu also said that reports of funny happenings oozed out from collation centres. “The presidential and National Assembly elections cannot be said to have been free, fair and credible. This is the worst election in the Nigerian democratic history. Peoples Democratic Party, PDP, loyalists are encouraged to seek redress in court immediately, instead of engaging in violence”, Ozuzu said. Mr Joseph Ugwuoke, chairman of All Progressives Congress, APC, in Nsukka local government area said he was happy on the re-election of Buhari because it would bring more human capital and infrastructural development to the country. “ Nigerians voted him for a second term because he has done well in the first tenure,” he said. An Owerri youth leader, Mazi Ikay Ukaegbu, said that “if a university professor could come out openly to say that he announced the Orlu senatorial zone result under duress, the same thing could have happened to other less vocal adhoc staff of INEC”. Ukaegbu, who was not particularly happy that “the wishes of the citizenry were sadly thwarted”, wondered how Boko Haram infested areas of the country, returned huge voter turnouts than peaceful most areas of the country. In his own account, Engr. V. C. Anyanwu said his happiness remained that the PDP won the last polls in Imo State. “It is not easy for a party to not only defeat a sitting governor in his state, but also two other parties, whose common interest was to deliver the APC presidential candidate in the state”, Anyanwu said. He congratulated the people that voted for the PDP, stressing that their votes actually counted. 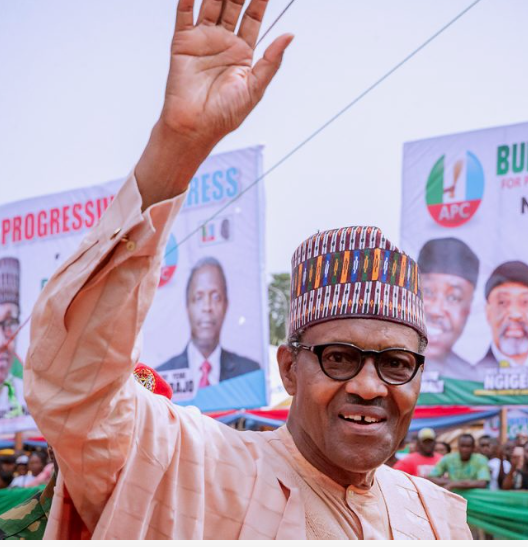 Some residents of Nsukka town that spoke to Vanguard on Wednesday described the president re-election as good omen that would take the country to the next level while others said it would be another four years of suffering, anger and abject for Nigerians. Mr Ikechukwu Ugwuegede, candidate of APC in Nsukka /Igboezesouth federal constituency in February 23 election said Buhari re-election was a good omen for the country as it would take the country to greater heights. “The president will use the next four years to finish the good work his administration has started all over the country. “it will be another four years of good governance, accountability and fighting corruption because everybody knows Mr President has zero tolerance for corruption, “ he said. Ugwuegede who lost to Mr Pat Asadu of People Democratic Party in the just concluded presidential and national assembly election commended Nigerians for their wise decision to support Buhari’s second term bid. “Nigerians have again made wise decision having seen the good performance of Buhari in first term,”he said. Mr Fabian Onah, Chairman of People Democratic Party in Nsukka LGA said that Buhari’s re-election was another four years of hell on earth and suffering for Nigerians and the economy. “it’s during Buhari present administration that Nigeria become the poverty capital of the world, to me his reelection is another four years of hell on earth for Nigerians . “the economy of the country has not received adequate attention by the administration that is why many people are loosing their jobs and unemployment is very high. “The Buhari administration focused attention only on fighting corruption which has not made any positive impact because the so called corruption fight is targeted only on PDP while the economy is neglected and continue to worsen “ he said. Onah however said, it was PDP that Nigerians voted as president last Saturday but APC hijacked the mandate of people to Atiku. business have folded, the economy is bitting hard on the citizenry, mass unemployment, poverty hold over one million Nigerians spell bound while the cabals of Buhari cruise in affluence at the detriment of poor Nigerians who can hardly afford three square meals. The so called re-election of Buhari is a setback to the economy of the country. “The hard economy of the country under the present administration affected many Nigerians adversely.